What do I mean by ‘rapidly changing forest landscapes’ in this province where some 70% of the lands are forested? Well, most strikingly, acacia plantations (used for export industry of wood chips and furniture) have expanded in the past three decades to cover a fifth of the province. Natural forests are decreasing in some spots through farm encroachment, and expanding in others from protection and abandonment. 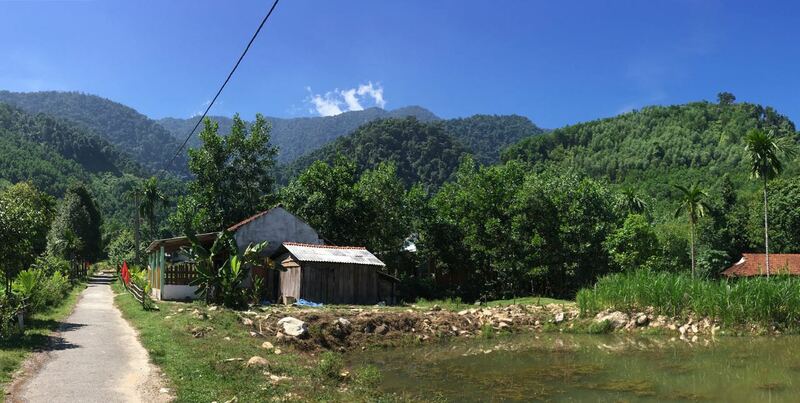 In preparation for starting a variety of research sub-projects, I’ve tried to apply my ‘geographer’s eye’ to make sense of the different socio-ecological landscapes of the province, especially the western half in A Lưới and Nam Đông districts. By socio-ecological landscapes I refer to landscapes, or perhaps terroirs, that are relatively coherent units of features and processes. They do not necessarily correspond to land cover units (such categorization would separate field from forest) or ownership, as they integrate across forest types, land use types, official management types, and tenure, for instance. Below I describe my probably naïve working classifications, based on field visits this year and last, and certainly to-be-revised! Rice plain landscapes. These are flatter terrains dominated by productive irrigated rice farm systems and population centers. 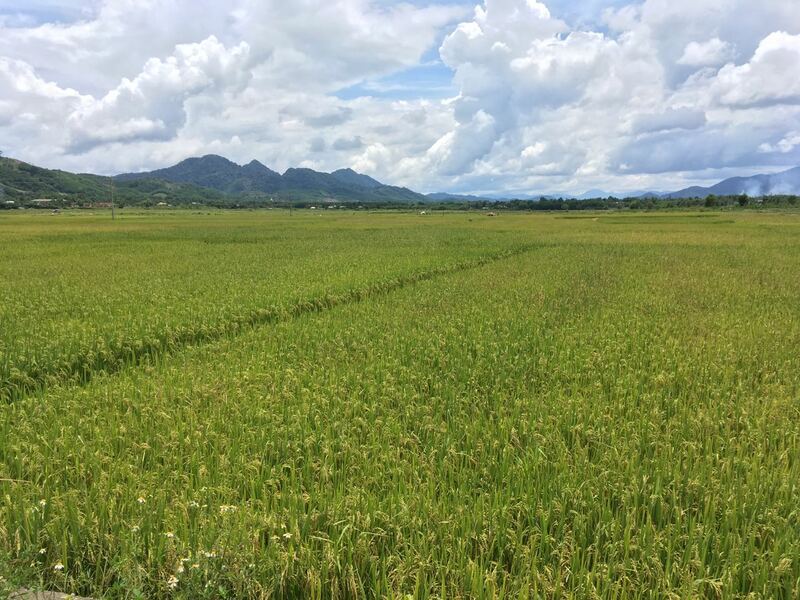 One can distinguish between the main lowland plains adjoining the lagoon, and the A Lưới rice bowl at 500m altitude – which likely has different seasons and crop associations. Pure acacia plantations. These zones have little else than large stands of fast-growing acacia plantations, planted in rows. They can be found both in the rolling hills of the lowlands and on the steep slopes of the lower mountains. Frequently associated with ‘institutional’ landowners (like state forestry enterprises, the military) but, I presume, also with some household or community allocations. Agroforestry acacia matrix. These are smallholder landscapes, with valley bottoms used for vegetables, rice, and fishponds; farm agroforests with diverse fruit trees, bamboo, or betel nut; some dryland cropfields; small rubber plantations; and, of course, always and everywhere numerous small and mid-sized plots of acacia, occupying perhaps a fifth, perhaps up to four-fifths of the landscape. 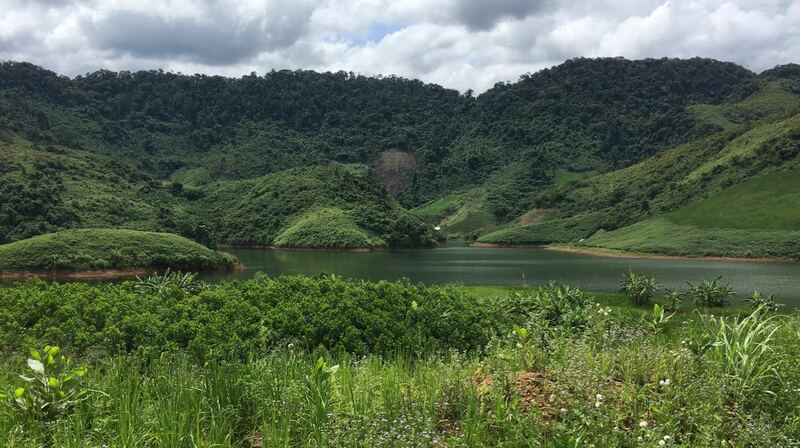 We particularly saw such landscapes east of Huế City, but also in remote corners of Nam Đông and A Lưới districts, where ecological and ethnic differences shape choices of crop and tree varieties. Forest edge village landscapes. 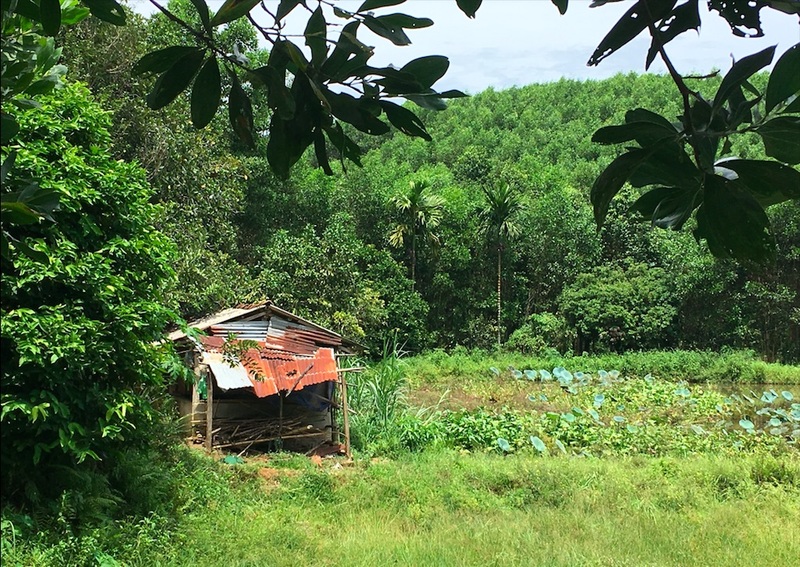 In areas of more stable settlement, such landscapes visibly grade from rice field and agroforestry matrixes through hillside slash-and-burn fields and acacia plantations up to well-used natural forests. 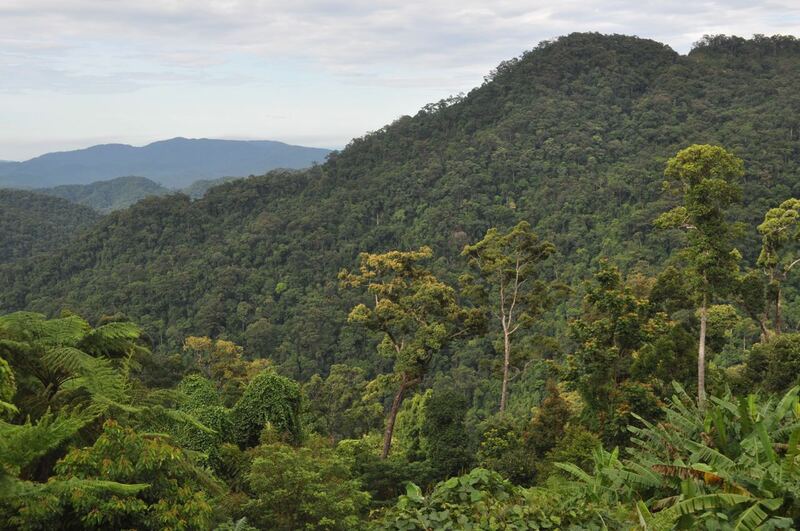 In the Katu (Cơ Tu) ethnic village shown in the picture here, for instance, acacia currently climbs the slopes right to the forest edge. Other such areas might include the eastern rim of A Lưới valley. FT frontier landscapes. The most dramatically changing landscapes (my impression, to be confirmed with some good land cover change analysis!) are zones of apparent forest encroachment and field expansion, with acacia plantations following close on their heels. One has the impression of seeing both ends of the ‘forest transition’ U-curve in the same landscape: deforestation and afforestation. Such landscapes appear to be associated with recently accessibility – near new hydropower reservoirs and roads. For instance along the Ho Chi Minh highway north out of the province towards Đakrong Bridge, or in the western half of Nhâm commune approaching the Lao border, where a cassava and acacia boom is reconfiguring the landscape of the local Pa Coh community (subgroup of what the Vietnamese government classifies as the Tà Ôi ethnic group). Along the road from Huế to A Lưới. The spread of an invasive vine is impressive. Abandoned swidden landscapes. 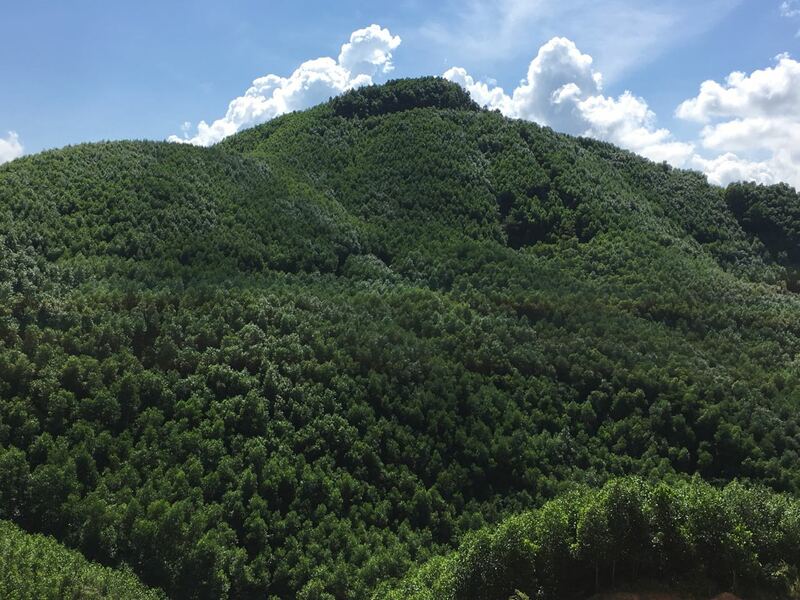 In contrast, in some places, slash-and-burn farming villages in important forest areas have been relocated or cultivation banned, creating islands of secondary growth, invaded with Merremia vines, and – yes, you guessed it – plots of acacias. 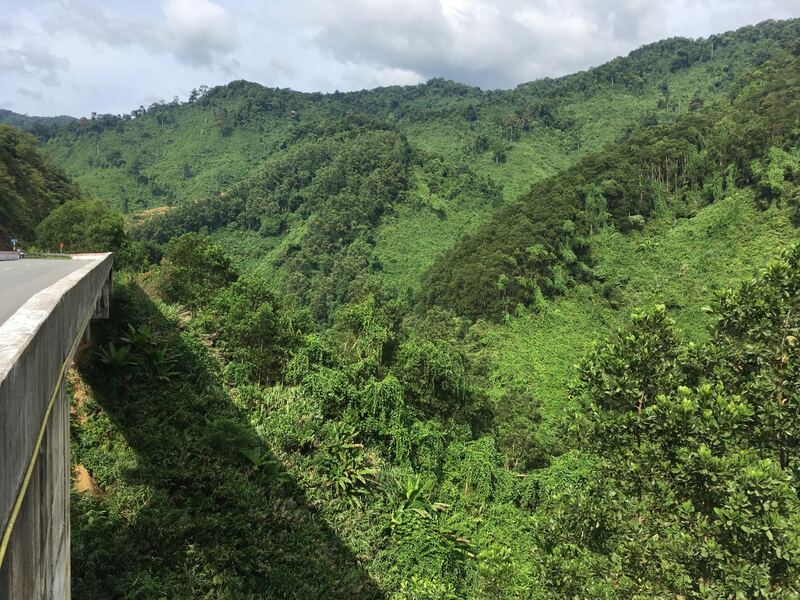 These lands are typically gazetted as watershed protection or special use, and include the steep lands before crossing over the pass to A Lưới from Huế, and some areas inside what is now the Hue Saola Nature Reserve. I’m sure there are some interesting stories, both ecological and social, to uncover here. Remote forest landscapes. Finally, there are large areas of ‘natural’ forest landscapes lacking human settlements, with varying degrees of human influence. Some were exploited until the recent logging ban for their hardwoods; hunters and rattan collectors certainly come here. These lands are now protected watersheds, nature reserves, and so on, and are usually remote (though new roads, such as the Ho Chi Minh highway south from A Roàng to Quang Nam province or a new road from A Roàng to Nam Đông, sometimes pierce the forest, at times following old wartime supply routes). We’ll see how well these categories hold up to discussion and research… but it is a start. Now it is time for our team to initiate a bevy of student research topics on the forest ecology, economic values, landscape governance, and invasion ecology of these areas. I can’t wait. This entry was posted on Tuesday, September 19th, 2017 at 2:21 pm and is filed under Acacia, Conservation, Development, Research, Smallholder farming, Sustainability, Vietnam. You can follow any responses to this entry through the RSS 2.0 feed. You can leave a response, or trackback from your own site.